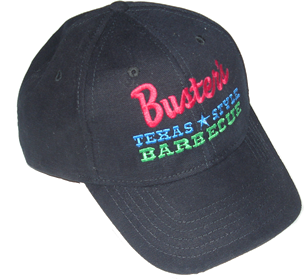 Yes…you too can wear the same T-Shirts and hats as the crew at Buster's! 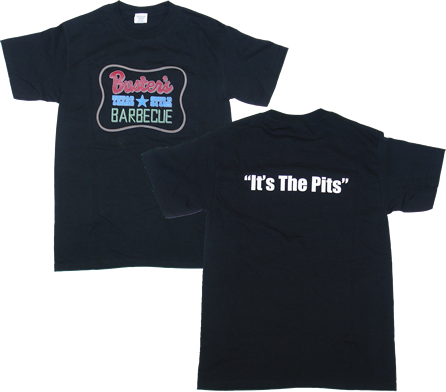 And…don't forget…Buster's Barbecue T-shirts and hats make great gifts any time of the year! Purchase in our restaurants. And, soon to also be available online here. 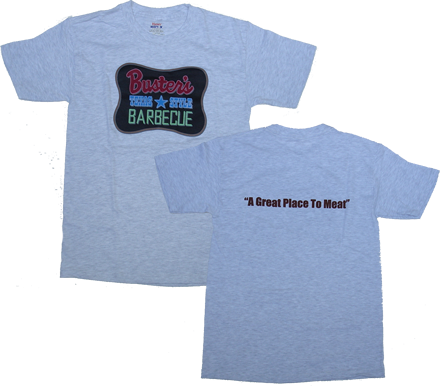 "A Great Place To Meat"
Back: "A Great Place To Meat"